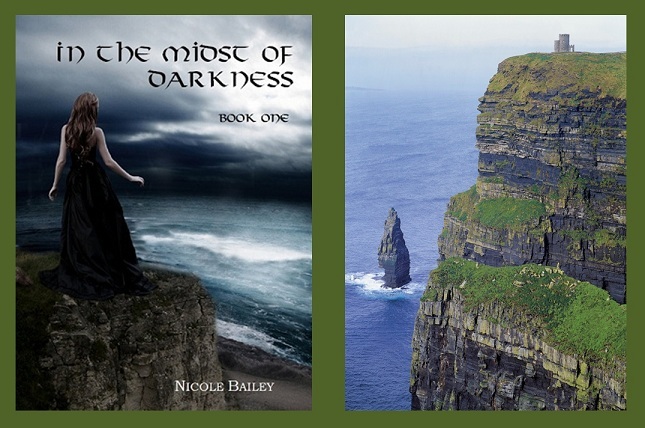 So, I know this is a blog for my first novel, but since my third novel is complete, I couldn't resist looking for a cover photo for it because I plan to publish it after my sequel Return to Darkness. And by the way, things are progressing slowly but surely with the sequel. I'm more than halfway through. I have the beginning, ending, and some bits in the middle. It's a matter of connecting them together now. Easier said than done. So, here's a preview of the cover for Destiny Bound. It still has the istock logo on it because I haven't bought it yet. I wanted to be sure that it would work out. But what do you think? I love it. I love the font too. The font name is hysterical-bleeding cowboys. Not sure that's what a bleeding cowboy would look like, but it's great nonetheless.